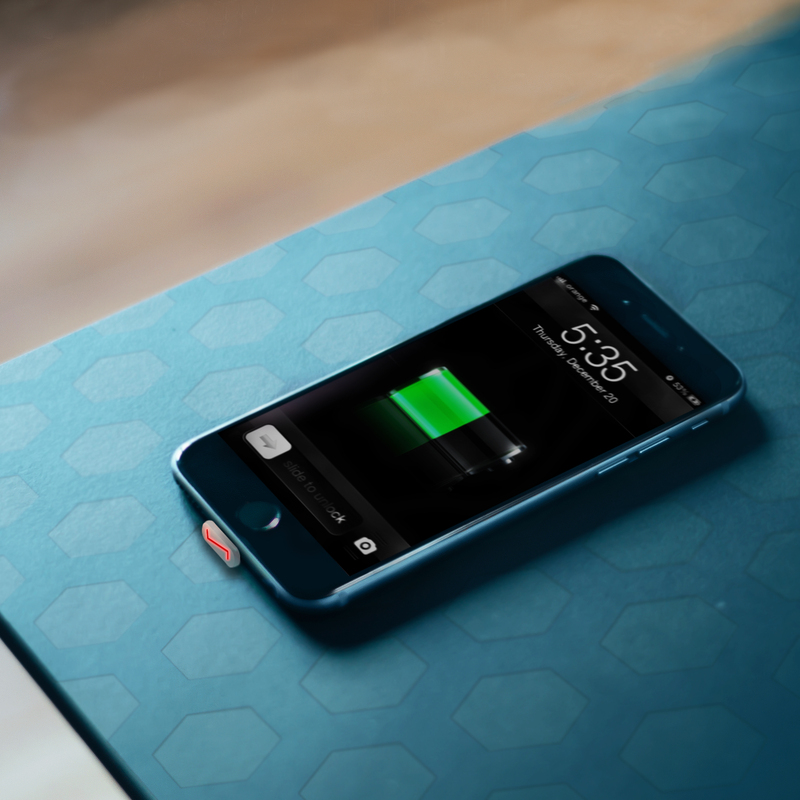 ION+ is a table that could charge any electronic device you owned. Before the time of conduction charger where you are stuck with most devices that still require a wired charger, your table is usually filled with several cables that go everywhere. Ion+ come with a small connection that you plugged into your electronic device. It enables these devices to be charged once placed on the ION+ table. ION+ surface has a special pattern that runs 20 V through its surface. When devices are placed on the table, the ION+ connector interlock with ION+ surfaces performing a close circuit and enable current to run through the device. Most phone/USB usually required 5V where notebook computer usually required 20V. With a different circuit design in each connector, ION+ allow all device to be charged on the same table even with different requirement. Note: 20 Volt is the safe voltage for a human to be in contact with. Furthermore, the special pattern makes it difficult for normal object/person to close the circuit and enable the current to run through.